There is great interest in recent scholarship in the study of metropolitan cultures in India as evident from the number of books that have appeared on cities such as Delhi, Mumbai, Chennai and Kolkata. Though Hyderabad has a rich archive of history scattered in many languages, very few attempts have been made to bring this scholarship together. How it has acquired this uniqueness and how it has been sustained is the subject matter of literary cultures in Hyderabad. This work attempts to trace some aspects of the history of major languages practiced in the city. 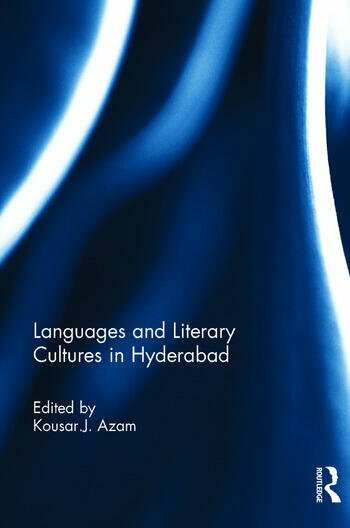 It also reviews the contribution of the various linguistic groups that have added to the development not just of varied literary cultures, but also to the evolution of an inclusive Hyderabadi culture. The present volume, it is hoped, will enthuse both younger and senior scholars and students to take a fresh look at the study of languages and literary cultures as they have evolved in India's cities and add to the growing scholarship of metropolitan cultures in India. Kousar J. Azam, Professor and former Head, Department of Political Science, Osmania University, Hyderabad, has held many academic and administrative positions including the Chairmanship of the Southern Regional Centre of ICSSR and membership of APPSC. Recipient of Ford, Fulbright, Rockefeller fellowships and the Best Teacher Award of the Govt. of Andhra Pradesh, she has lectured at many universities in India and abroad. She has authored/edited, nine books and is currently, Honorary Advisor at the Osmania University Centre for International Programmes.